Bsystems Limited is a Software and Database Management Company offering cutting-edge IT-based business solutions that meet the present and future needs of businesses within the sub-Saharan marketplace. At Bsystems, we combine worldwide corps of systems and services experts with vastly reliable indigenous systems to deliver value- added products and services to our customers. 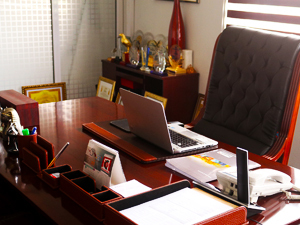 As a wholly indigenous Ghanaian company, Bsystems was incorporated under the Companies Code, 1963 (Act 179) as a limited liability company in 1999. Bsystems has made huge investments in software solutions thus becoming one of Ghana’s leading Systems Consulting and Software Development Company. With approximately 40 employees supporting over 45 companies including more than 25 banking and financial institutions that use Bsystems applications and Oracle related products, Bsystems has partnered with industry leaders to provide service solutions unmatched within the Sub-Saharan marketplace. In its efforts to uphold good corporate governance and sound business practices; Bsystems signed onto the Ghana Business Code as a member in 2009 to commit itself to the universal principles of the respect and promotion of human rights, labour standards, the environment, transparency, and anti corruption as described in the UN Global Compact. In 2000 Bsystems acquired Oracle Corporation Country Partner status and in so doing became a Certified Oracle Education Provider. Bsystems is also member of Ghana's premier trade association for the IT software and services industry, the Ghana Association of Software and IT Services Companies (GASSCOM). In pursuit of excellence and to inspire trust, Bsystems has formed significant and extensive affiliations worldwide with industry leaders such as Oracle,SAP-Business Objects (SA), Misys, Wavetec FZCO, iTS Africa Technologies(Pty). Rated among the Top 3 ICT companies in Ghana by the Ghana Club 100for the consecutive years in review, 2008, 2009, 2010, 2011, 2012,2013,2014,2015,2016. To become the leading Business and Technology solution provider in Africa. To provide creativity, innovation and delivering Clients Return on Investment in technology through Employee Development, superior Customer Satisfaction and Corporate Social Responsibility. In order to achieve our mission and vision in our everyday work we have an established set of Bsystems values. These are the guidelines which clarify what is important to us as a company.